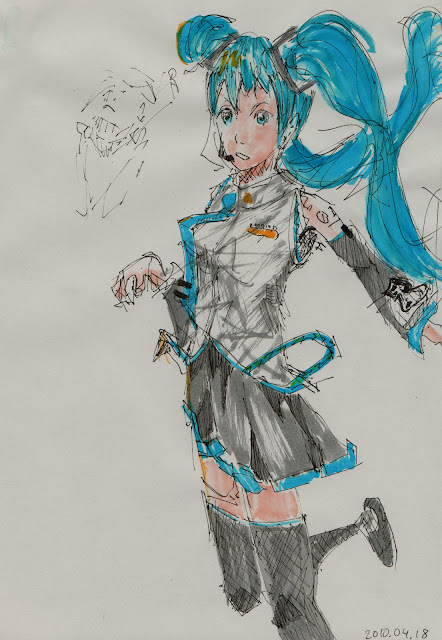 Hatsune Miku came out around the time that I had a strong focus on drawing drawing and drawing. Video after video was released on Youtube and NicoVideo, and the popularity was hard to ignore. Despite her excessively long hair, I took an interest in her character and have often used her as one of my hieroglyph anime characters. Her costume is probably the one that I know best.